WSET talks to Michael Karam, journalist, wine writer, author of The Wines of Lebanon and specialist in Lebanese wines, about his career and why he chose to go back to school. You started your writing career as a features and business editor, how did you make the transition to wine writing? In 2001 I was appointed editor of Executive, a regional business magazine, in which, in my first month, I wrote a feature on the development of the Lebanese wine sector after the 1975-90 civil war. That piece was somehow picked up by Tom Stevenson who invited me to write the Lebanon chapter in Wine Report, an annual he was compiling. I then used that to wangle a book deal and then Jancis Robinson invited me to write for the Oxford Companion to Wine (OCW) and then her World Atlas of Wine. The book then won a Gourmand Award, so, as you can see, it all happened rather quickly. I then left journalism for corporate PR till 2012 when I more or less devoted my time to promoting Lebanon and its wines. I owe it all to Tom Stevenson who convinced me to have a go at compiling that first chapter for the Wine Report. You wrote the acclaimed book, The Wines of Lebanon, which has gone a long way to helping wine professionals and enthusiasts learn more about this ancient wine producing region. How much time and work goes into writing a book like this? I knew my limitations. It was never going to be a technical book. I wanted to tell the story of Lebanon and Lebanese wine through lens of the people who made it. They all had really great stories to tell, stories that spanned many eras – Ottoman, French Mandate, Post-Independence, Civil war and so on – and the actual wine was almost secondary. I would like to think the book gives a comprehensive narrative of the wine industry from the start of the modern era, which most people accept as the 1850s and the beginnings of what would become Chateau Ksara, to the present day, and tells a story of Lebanon that is more than just one of conflict and instability. Most important for me is that I believe any wine education gives you a clearer perspective about the subject. I had the full support of the producers, including the late Serge Hochar of Chateau Musar who became a mentor of sorts. They gave Norbert Schiller, the photographer, and I full access to their wineries and the people behind the wines, including the Bedouins who pick the grapes, who made for some stunning visuals. It was however important to achieve some degree of accuracy surrounding the early history and I am indebted to Dr Patrick McGovern, author of Ancient Wine: The Search for the Origins of Viniculture, who helped me selflessly. Patrick and I are currently compiling another, more academic (but still very readable) book on the history of wine making in the region from the dawn of time to the present day. I’m still surprised how we pulled it off in a year while holding down a full time job. It was amazing fun to do, a real adventure and it was, as far as I can tell, also the first book written on the subject, which is kind of cool. You’ve recently completed the WSET Level 2 Award in Wines and Spirits and the WSET Level 3 Award in Wines with Château Ksara. What enticed you as an established wine writer to "go back to school"? Very simply, I wanted to widen my wine knowledge. It might sound a bit dramatic but it feels odd to be called a an award winning wine writer when, if I’m being honest, my knowledge of wine outside the Levant was – and still is – relatively limited, so when Chateau Ksara made the brilliant decision to run the courses in Lebanon, I leapt at the chance. I was offered the Level 2 Award in Wines and Spirits course and loved it so much I did the Level 3 Award in Wines. I’m hoping to start the Diploma in Spring 2017. 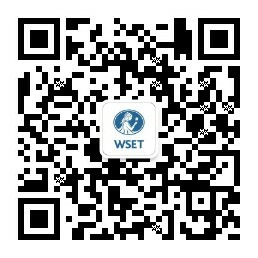 What have you enjoyed most about your WSET study? Being in a classroom environment at 51. I’m much more disciplined than I was at university and really enjoy the challenge of the workload. I did the Level 3 in five days, which was quite tough, but I loved having to summon up the mental rigour to meet the demands of the course. Why do you believe wine education is important in Lebanon? Well, first of all we have a massive food and beverage (F&B) sector so there are obvious benefits there and Lebanon, due it’s innate character and wine industry, can and should be a regional hub for wine education. Also a lot of Lebanese find themselves having to work abroad and the WSET courses are globally recognised. But most important for me is that I believe any wine education gives you a clearer perspective about the subject and this must surely help banish the annoying notion in Lebanon that somehow our wines are second rate. I get very irritated when I see a wine list and our wines are categorised under “Local Wines”. So the hope is that the more formal wine education seeps into the F&B sector, the more those who work in it will take greater pride in wines from their country which, let’s not forget, have an impressive pedigree. What do you believe the future holds for the Lebanese wine industry? We need to be more focused on making wines that reflect our identity. I know that might sound pompous, but we only make 9 million bottles in a 36 billion-bottle global market and as consumers become more educated they will seek out more “off-piste” wines. That day is not far off (it may even have arrived) and we need to be ready. So not only do we have to make wines of the highest quality, we also have to make wines that no one else is making. Yes there is room for the polished international style blends that many producers make, but we also need to make wines with varieties that are unique to Lebanon such as Obeideh and Merweh and even our “adopted” reds like Cinsault, Carignan and Grenache, varieties that were introduced to Lebanon in the mid 19th Century by the Jesuits. These grapes are our heritage. Michael took his Level 2 Award in Wines and Spirits and Level 3 Award in Wines with Château Ksara in Lebanon. Château Ksara became the first approved programme provider to offer WSET courses in Lebanon in 2015.